Beauty doesn't have to equal pain. 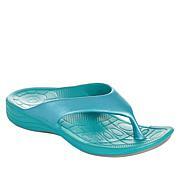 You'll feel like you're walking on air when you slip into these soft Lynco Flips from Aetrex. Featuring their patented Lynco footbed design, soft metatarsal cushion and dual-density outsole, you won't ever want to wear another pair of shoes again. 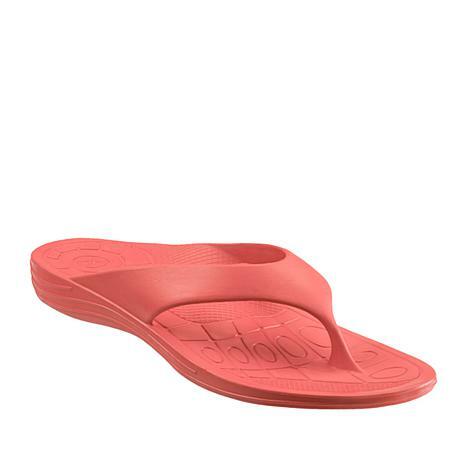 When I was told I had to wear orthotics I never dreamed that there were flip flops that I could still wear!! I live in these shoes! They last, easy to brush clean and above all are so comfortable! Love these shoes. Fit great. Very comfortable. Good price ! Love these flip flops. This is my second pair and I will purchase more. I have plantar fasciitis and these are fantastic. They support my arch making them extremely comfortable to wear every day.